What is the time limitations to file Iowa Workers' Compensation claim? What are the time limitations to file an Iowa Workers' Compensation claim? In general, the statute of limitations to file your Iowa Workers' Compensation claim is 2 years from the date of your injury. This means you must either have started receiving benefits or have filed an application for arbitration within this time frame. While this may sound simple enough, there are actually a number of deadlines that you must meet when filing an Iowa Workers' Compensation claim. 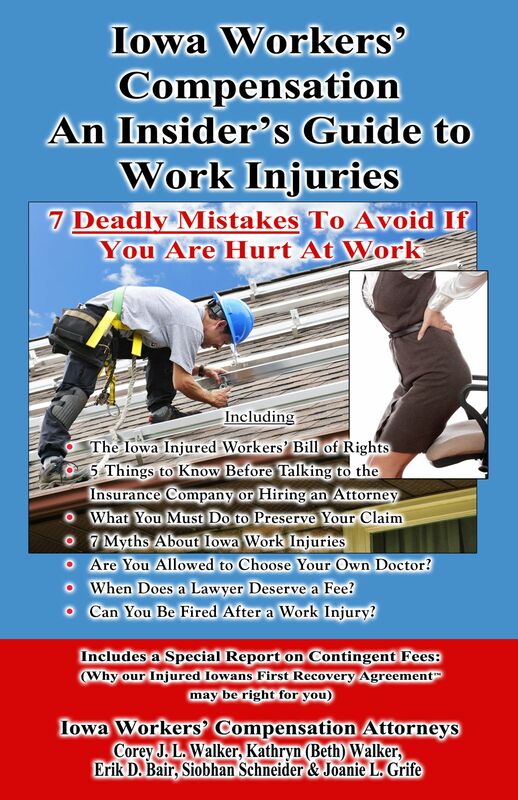 Before you can even file an Iowa Workers' Compensation claim, you must file a report with your employer. This statute of limitations is 90 days, which begins when you either sustained the injury or realized you had sustained the injury. At this point, when your injury causes you to miss work for more than 3 days or is considered permanent, your employer has 4 days to file a report of injury with the Workers' Compensation Commissioner. Since these statutes of limitations can easily get confusing, you may find it best to get the help of a Des Moines Workers' Compensation attorney. This way, while you focus on healing, your Des Moines Workers' Compensation attorney can keep your claim on track, to prevent you from missing the deadlines prescribed by Iowa's statute of limitations. Having a Des Moines Workers' Compensation attorney familiar with your case can also prove helpful in the future, even if benefits have already been paid. This is because you have 3 years once your benefits have been paid to file for additional benefits (this does not apply to necessary medical expenses). If you miss the statute of limitations to file your Iowa Workers' Compensation claim, your claim could be denied. Since you don't want to risk such important compensation, a Des Moines Workers' Compensation attorney can take every step to get you the financial help you need and deserve.